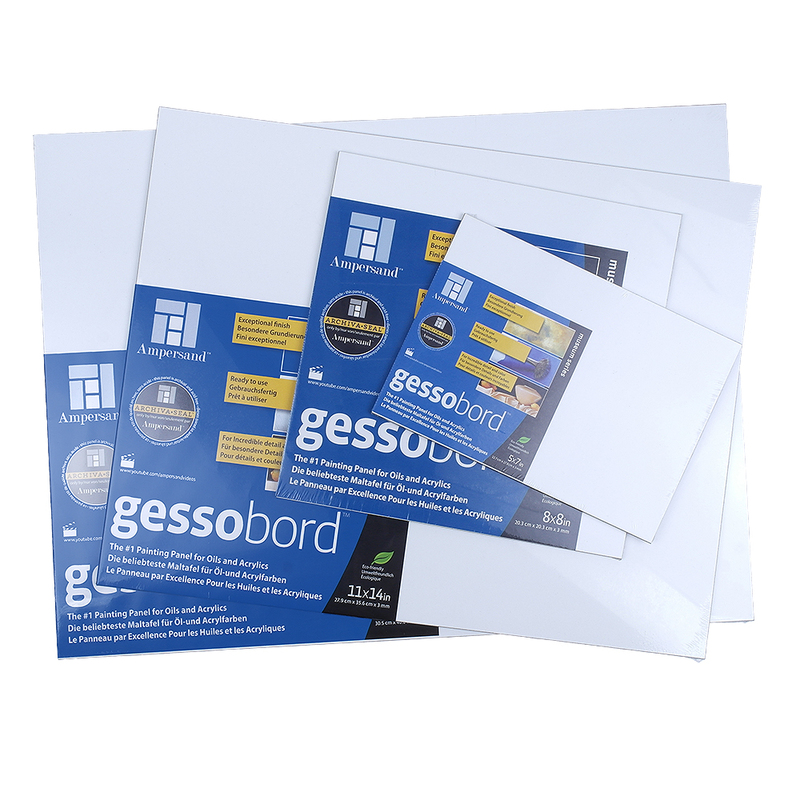 Museum Series Gessobord™ is the most trusted pre-gessoed wood panel by artists for their work. The superior quality acrylic gesso ground does not dull colours and the wonderful lightly sanded surface provides exceptional brush control. Made with Ampersand’s 1/8" True Artist Hardboard™ and Archiva-Seal™ technology, the surface is acid-free, non-yellowing, and archival. Perfect for all painting styles with oil paints, acrylics and mixed media. Fantastic surface to paint on and best price online - Ampersand Gessobord 1/8" Deep 8"x8"
Great support - Ampersand Gessobord 1/8" Deep 5"x7"